Every manufacturing business can benefit from developing their processes and achieving operational excellence. The efficiency that comes from these improvements can help to reduce costs, enhance productivity, and upgrade the quality of your products. Eventually, increased sales and profits will follow, along with a highly-polished company image. Your people have many of the answers to the issues with your processes. It only makes sense that those who carry out those tasks would be able to tell you how to improve their efficiency. Your executives at the top of the chain probably have a handle on the big picture, but you can find smaller opportunities to make things run better by approaching your workers with the intent of soliciting their input. Engaging your employees like this will not only help your business run more smoothly, but it also has the added benefit of giving a voice to those on the shop floor. By allowing solutions to flow upward, you open up a communication channel that is more effective than the traditional method that starts at the top and trickles down to the workers. If your employees don’t know what you expect of them, you can’t blame them if they are not meeting your expectations. A recent Gallup report indicated that only about half of the surveyed workers were sure of what was required of them on the job. Without clearly defined goals and priorities, employees can spend a substantial portion of their workdays pursuing the wrong objectives. You can improve your manufacturing processes substantially by setting clear and realistic goals with your employees. Communication is the key, and spending time in face-to-face conversations can be the most effective method of delivering your message. There are all kinds of training from which to choose. 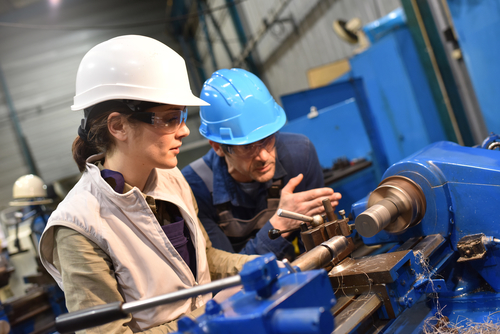 Hands-on training is useful, but there are times—learning the latest manufacturing software program, for instance—when formal classroom training is necessary. One of the best things you can do for your workers and your overall operations is to cross-train your people whenever possible. The more people you can call on for multiple tasks, the fewer periods of downtime you will experience. That’s because cross-trained workers can troubleshoot, substitute for a missing co-worker, and help out when the flow of work hits a logjam. 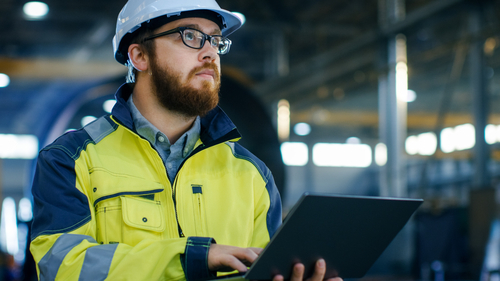 Encourage your employees to make some of the smaller changes to the processes without seeking out and consulting your engineering department for each minor adjustment. Improvements to each process will come faster, and you will be fostering a strong sense of trust between managers and workers. The improved morale that results from the increase in trust within the workplace will lead to higher productivity and an ability to work more effectively as a team. While controlling waste is not limited to materials, they can be one of the most expensive kinds of waste. Certain types of manufacturing are labor intensive and require a greater emphasis on controlling labor hours, but many manufacturing operations require significant amounts of material, and using it efficiently can translate into thousands of dollars of savings each year. Some wasted material can be traced back to the design of the part. Design for manufacturing (DFM) is an engineering practice in which products are designed in a way that will make them easier to produce and will make efficient use of materials. Recycling or reusing scraps of metal and sharpening tools instead of replacing them are just some of the other ways that can contribute to a healthier bottom line. Wasting space can be as expensive as wasting material. Being organized is vital to a productive workspace. All tools and materials should have a home and be easy to find for every worker. The shop floor should be free of debris, so your people are not stumbling over material scraps. Lots of money can be lost when people spend their time searching for what they need and moving things out of their way. 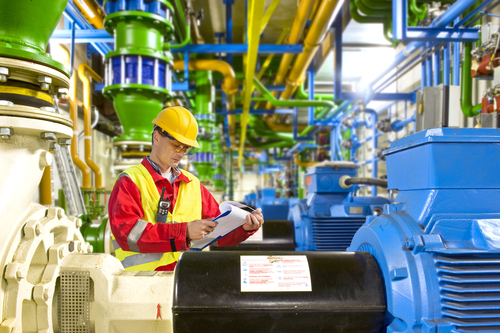 Become proactive with a comprehensive maintenance program. Set up a schedule for each piece of equipment. Replacing worn parts before they fail can result in less downtime and prevent more extensive and costly breakdowns. Talk to your equipment manufacturers or sellers to determine the optimum schedule for each machine. Don’t forget to look at your suppliers as you improve your processes. Find those that are providing you with the best materials and tooling for your operation. Does your tool supplier take the time to go over the best tooling options for a specific project? Does your steel supplier work with you to find the right grade at the best price? When you find suppliers that are consistently helping you to cover your bases, give them more of your business. As you search for new suppliers, take note of the general attitude of the inside sales personnel. Those who display a willingness to put you first will likely be quicker to respond if you run into a problem and need their help. Just because you haven’t heard many complaints from a customer, don’t assume that you are doing everything right. Keep the communication lines open and ask them for ideas for improving your relationship. Some of the feedback you receive might keep you from doing operations that the customer doesn’t require or even want. Even if the ideas mean a bit of extra work for your company, you will cement your reputation for excellent customer service and will be able to give more accurate quotations in the future. If you do mostly production manufacturing, every operation should be standardized for maximum efficiency. Keep a checklist at each workstation, and train everyone who works at that station to follow it. By doing this, you ensure consistent quality, less downtime, and optimum production. 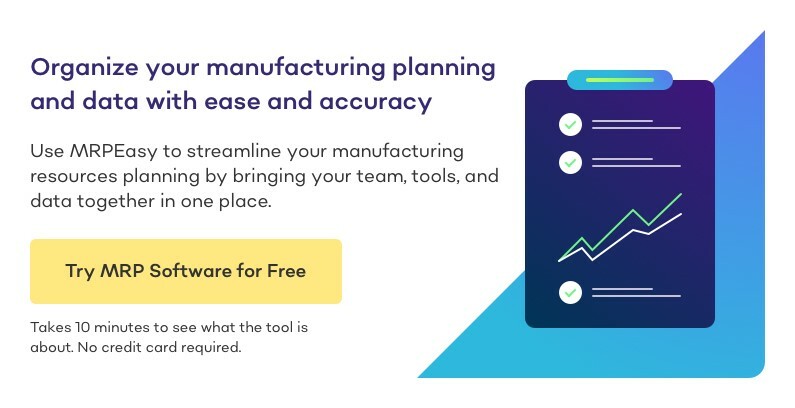 Not all of these suggestions will work for every manufacturing business, but if you use those that do and combine them with a comprehensive manufacturing software solution, such as MRP, 2019 and all future years could be more productive than you ever imagined was possible. 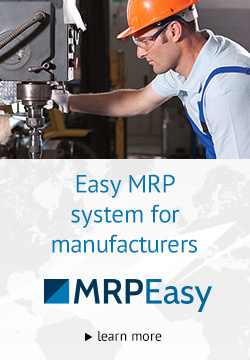 Here is a blog article about Top 5 Manufacturing Processes That Will Improve After Implementing MRP.